Dr. Labeots has significant industrial experience, such as working as a research chemist at Kraft General Foods, where she designed the large scale chemical synthesis of the edible fat substitute Olestra®, resulting in six patents. She also worked at Abbott Laboratories in the Diagnostic Division, where she developed nucleic acid-based diagnostic products to detect disease. In addition, Laura worked as an analytical chemist at Exelon (Commonwealth Edison). Dr. Labeots helps companies with worldwide patent and trademark prosecution, litigation, opinions as to the invalidity and non-infringement of patents, freedom-to-operate, new product development, licensing, confidentiality agreements, Board of Patent Appeals practice, FDA regulations, USDA guidelines, EPA compliance, and ANDA/Hatch Waxman litigation. Dr. Labeots is a partner at the law firm, Husch Blackwell, LLP and has been practicing law for 15 years. Dr. Labeots has extensive experience working with polymer technologies. She has in-depth knowledge of polymer chemistry, especially in polyolefin films and fabrics, thermoforming, extrusion coatings, adhesives, sealants, geotextiles, industrial and food packaging, concrete reinforcement, flooring materials, carpets and carpet backings, paints, polymer composites, and chemical safety materials. Dr. Labeots also helps generic pharmaceutical companies develop effective patent invalidation strategies for Abbreviated New Drug Application (ANDA)/Hatch-Waxman cases, using her deep chemistry background to elucidate the complex structure and function of pharmaceutical agents. 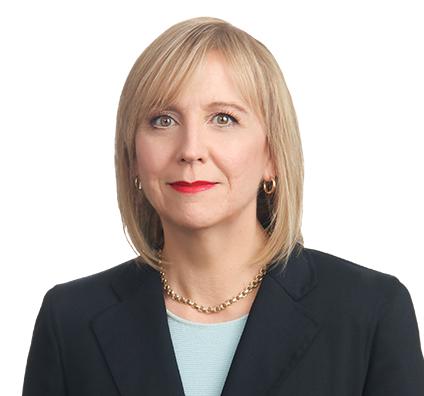 Her wealth of patent prosecution experience provides unique insight into patent invalidity principles. Some of the pharmaceutical agents that Dr. Labeots has worked on include the following: metastasis inhibitors, antifungal antibiotics, anticoagulants, macrolides, rifamycin antibiotics, proton pump inhibitors, reverse transcriptase inhibitors, anticonvulsants, estrogen receptor antagonists, antipsychotics, topical analgesics, appetite stimulants, attention deficit hyperactivity disorder modulators, acetylcholinesterase inhibitors, atypical antibiotics, dopamine agonists and psychostimulants. She has worked with companies in sectors such as diagnostics, pharmaceuticals, nanotechnology, polymer chemistry, biotech, genetics, nutrition, agriculture, medicine and medical devices, instrumentation and life science research to help them reach their business objectives. Additionally, she advises companies on issues relating to subject matter eligibility for nucleic acid patents, gene patents and personalized medicine patents. Laura’s patent list includes: U.S. Patent No. 5,424,420; European Patent No. 064765; Norway Patent No. 0943707; Finland Patent No. 944625; and Canadian Patent No. 2,131,786. Secured more than 20 patents for the amplification of synthetic nucleic acid sequences for a prominent university. Achieved favorable results in arguing an oral and written appeal before the Patent Trial and Appeal Board (PTAB) regarding an anti-cancer pharmaceutical agent. Drafted and prosecuted about 50 patents worldwide for numerous chemical polymers, processes and related goods for a large chemical corporation. Advised various generic drug makers in patent invalidity and non-infringement matters as they sought market entry. Conducted intellectual due diligence for a pharmaceutical company regarding potential investments and asset purchases. Drafted and negotiated licensing, confidentiality, common interest and nondisclosure agreements.